Our product series is based on common core standards and covers a wide range of preschool curriculum. Give your children a solid foundation for their future literacy and math development. You can select from a variety of applications that teach letters, alphabet, spelling, basic mathematical skills, logical thinking and more. 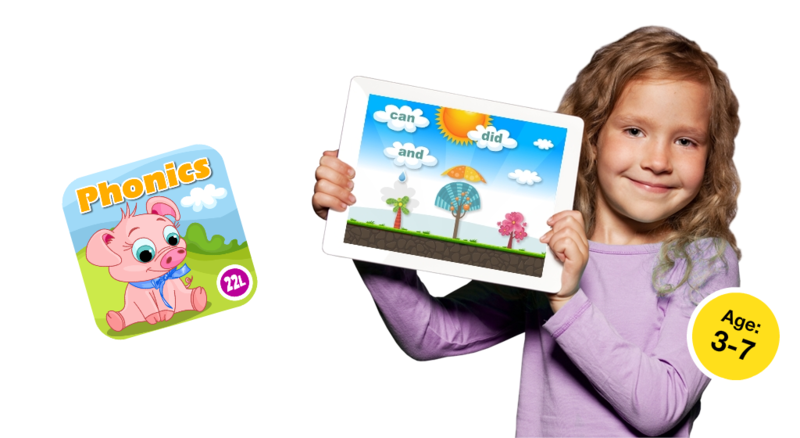 For the youngest ones, we prepared several apps that let them learn through exploratory play. Children can expand their vocabulary in areas of their interest such as animals, shapes or letters, learn about the world, and play a number of engaging games to reinforce their learning. We firmly believe in the importance of a play for a child’s development. That’s why you can find in our series apps that cater to children’s emotional needs and facilitate various types of pretend play. Does your child today want to be a firefighter, sell ice cream, or become an artist? Whichever it may be, be assured we have a fun app to make it happen!